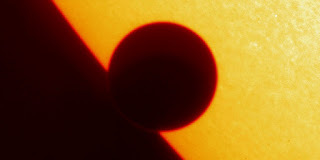 June 5th & 6th2012 mark the last dates this century when the Earth, Venus, and the Sun will be in perfect alignment. The next chance to view this celestial phenomenon will not arise until the year 2117. And sadly, at the time of writing, the weather forecast for the UK doesn’t look particularly favourable. When the Sun rises today at 4:45 am in London (4:30 am in Edinburgh, 5:15 am in Penzance) the transit will already be in progress. If the clouds don’t spoil the show and we are able to observe the sun, with the right apparatus and the correct filters or means of projection (being very careful in order to avoid permanently damaging our eyes), we should be able to see the passage of a tiny black dot passing serenely over the face of the Sun. The history of observing the transit of Venus is equally as fascinating as understanding its significance in the furthering of our scientific knowledge. Although many ancient cultures were aware of, and so observed and studied the motion of the second planet of our solar system, it seems none of them made any recorded observations of Venus transiting the Sun (at least, none that we currently know of). The famous German scientist, Johannes Kepler (1571-1630) was the first person to attempt to predict the occurrence of the event. In 1621 he calculated that a transit visible from the region of Europe would occur in 1631, but his calculations weren’t accurate enough for anyone to actually observe the phenomenon. Through refining Kepler’s predictions, an Englishman named Jeremiah Horrocks (1618-1641) was able to make a more precise prediction, and he also established that the transits occurred in pairs separated by eight years, recurring approximately every 105 and 121 years. 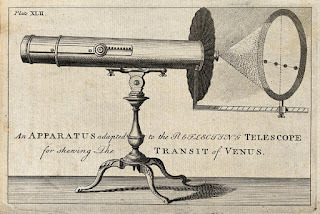 The importance of accurately observing such transits for the purposes of science were soon noted, and in 1668, the Scottish mathematician, James Gregory (1638-1675), suggested that accurate observations of the transit of Mercury at different points on the Earth’s surface could be used to better establish the distance of an astronomical unit (that is, the distance between the Earth and the Sun). With this knowledge in mind Edmond Halley (1656-1742), the English astronomer whose name is most commonly associated with Halley’s Comet, set out to observe the 1676 transit of Mercury from the island of St Helena in the Atlantic; but he was disappointed to find that only one other observation had been made, and consequently he was not satisfied that this was enough data to make a sufficiently accurate calculation. He proposed that the same system of triangulation could be used in similar observations of Venus transiting the sun, and, although he would not live long enough to make those observations himself, there were others who took up his call. 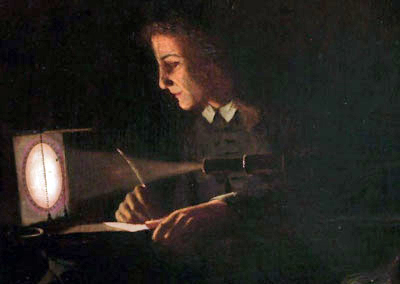 In 1761, the Royal Society prompted by the French astronomer, Joseph-Nicolas Delisle (1688-1768), along with a number of other learned societies and scholars in different nations despatched expeditions to various parts of the globe – in a truly notable early international collaboration in the shared pursuit for scientific knowledge – to realise Halley’s suggestion. There were more than 250 official observers placed around the globe, many of whom had undergone great hardship and arduous travails against the odds in their attempts to view the transit. We should take solace therefore if our view is clouded out this year, as so were many of theirs; but hopefully we shall only have to suffer the insult of the elements, whereas many of these hapless astronomers-turned-adventurers also suffered the added injuries of being caught in the crossfire of warring soldiers, or suffered attack from hostile peasants, in all kinds of extreme climates! It was during the transit of 1761, however, that the existence of an atmosphere around Venus was first proposed. A Russian scientist, Mikhail Vasilyevich Lomonsov (1711-1765) noted a curious occurrence as the planet made its first and last contact (ingress / egress) with the solar disc. He saw that an arc of light suddenly curved around the outer edge of the planet, distinctly showing up against the dark background of space; the light of the Sun having been harnessed and conducted by the planet’s atmosphere via a similar principle used in today’s fibre optic technology. On the whole though, the sum of the observations made in 1761 was simply a great disappointment. None of the scholarly calculations made around the globe seemed to agree. Undeterred though the scientific community resolved to try again in eight years time. 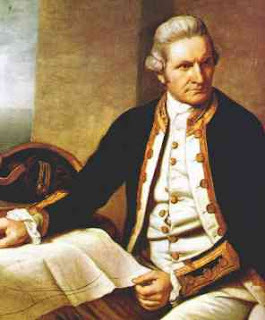 And 1769 certainly saw a concerted effort to redress the balance, particularly on the part of the Royal Society, which organised thirty observation points in Britain alone, and more than sixteen overseas. Again it was a truly international collaboration in which many governments, overlooking their own national agendas and despite warring differences, combined in funding a global effort to broaden mankind’s scientific knowledge; a spirit which persists to this day, particularly in the fields of astronomy and space exploration. The difficulty in precision regarding the timing of the contacts Cook describes (as shown in his drawings) is actually due to the so-called ‘black-drop effect’ – an optical phenomenon which you can replicate for yourself if you place your thumb and forefinger close to your eye and then watch as you narrow the gap between them. If you look carefully you’ll notice that the edges of your thumb and forefinger appear to leap together before their surfaces actually meet. 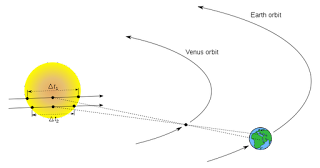 In reality this phenomenon didn’t significantly alter the calculations made in 1769, and the scientists of the day were able to determine the necessary trigonometry to establish that the distance between the Earth and the Sun fell somewhere in the region of 92,900,000 miles (149.5 million kilometres) and 96,900,000 miles (155.9 million kilometres) – which isn’t far off from today’s estimate of 92,960,000 miles (149.6 million kilometres). 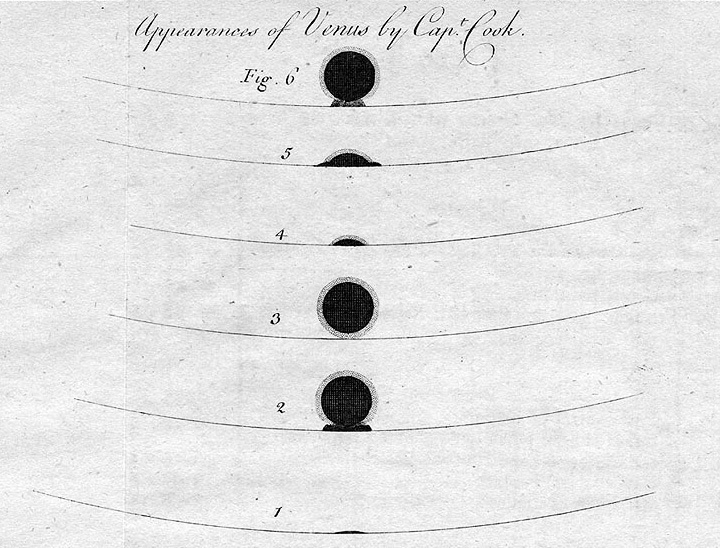 Despite the fact that nowadays we have many different methods for studying our solar system and measuring its distances, the actual observation of Venus transiting the Sun’s disc is still important scientifically – not least as a marker of the efforts of those early pioneers of science, but also as real science still. Such observations will aid and inform astronomers who are currently engaged in the hunt for planets beyond our solar system, many of which are now being discovered. It will also help them to better determine the sizes of these ‘exo-planets’ more accurately. And observations from Earth will compliment observations made by the Venus Express (VEX) mission, an orbiter sent by the European Space Agency in 2005, which is currently monitoring the Venusian atmosphere. And again such spectrographic studies will assist in determining more about the atmospheres found around exo-planets too. 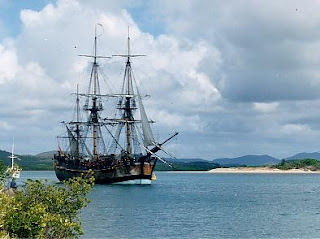 In the time since Captain Cook observed the transit of Venus in 1769 and the transits of our own era (2004 & 2012), exploration has enabled us to chart not only the Earth but also our solar system and some of the stars beyond. We’ve mastered the powers of flight and managed to send missions the surface of Venus itself, as well as other planets. Watching that small black dot transiting the solar disc or simply shining as the brightest of the planets visible in our morning or evening sky, one can't help but wonder at the immense celestial mechanics which regulate the passage of time and space within our solar system; and then wonder where our explorations will have taken us by the time the next era of people look up to observe the passage of Venus across the Sun in 2117. And, to coincide with this year’s transit, Random House has published a new history of the astronomer-adventurers who went in search of the transit – Chasing Venus: The Race to Measure the Heavens by Andrea Wulf (2012).